– Both Muhammad and Joseph Smith were reportedly inspired to start their movements by angelic visits. The Archangel Jibreel (Gabriel) in the case of Muhammad, and the Angel Moroni for Joseph Smith (following a visit Smith claimed to have received from God and Jesus Christ three years earlier). In each event, the angel in question helped to prepare the prophet to receive a series of revelations from God. – Both Muhammad and Joseph Smith left behind authorized books they claimed to be direct revelations from God, books that their followers accept as Scripture. The Koran in the case of Muhammad and the Book of Mormon, Doctrine & Covenants in the case of Joseph Smith. The Brighamite followers of Joseph Smith (which is represented by today’s Salt Lake City denomination of Mormonism) later added The Pearl of Great Price which is a compilation of various and sundry revelations and scripture generated by Smith during his ministry. – Both Muhammad and Joseph Smith were persecuted by hostile locals and later forced to relocate during the formative periods of their careers. Muhammad from Mecca to Medina, and Joseph Smith from Missouri to Illinois. – Both Muhammad and Joseph Smith established theocratic city-states during their respective ministries. Muhammad was invited to take the rule of Medina turning it into a Theocracy, while Joseph Smith would found Nauvoo, Illinois and assumed absolute power as God’s prophet. – Both Muhammad and Joseph Smith had humble beginnings. Neither had formal religious connections or upbringing, and both were relatively uneducated. Yet both founded new religions by creating their own scriptures. In fact, followers of both prophets claim these scriptures are miracles since their authors were the most simple and uneducated of men. – Both Muhammad and Joseph Smith created new scripture which borrowed heavily from the Bible while simultaneously deviating from it. 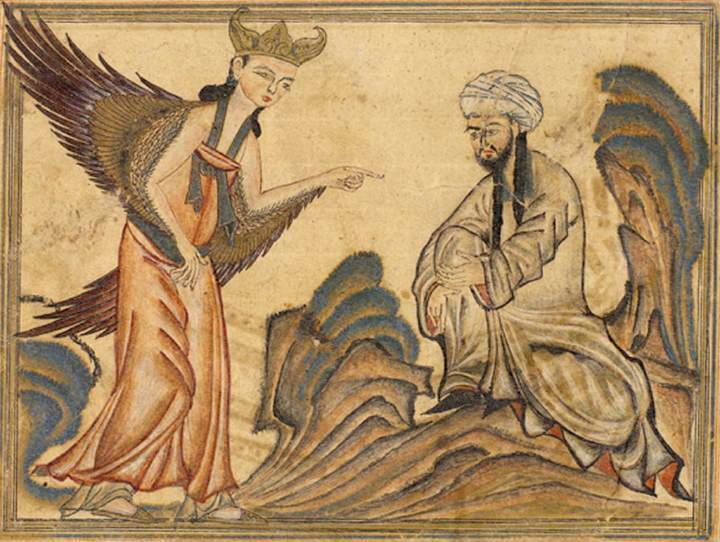 In his Koran, Muhammad appropriates a number of Biblical themes and characters—but he changes the complete sense of many passages, claiming to “correct” the Bible. In so doing he changes many doctrines, introducing his own in their place. In like manner, Joseph Smith created the Book of Mormon, much of which is plagiarized directly from the King James Bible. Interestingly, the Book of Mormon claims that this same Bible has been substantially corrupted and is therefore unreliable. In addition, Joseph Smith went so far as to actually create his own version of the Bible itself, the Joseph Smith Translation (aka “Inspired Version”) in which he both adds and deletes significant portions of text, claiming he is “correcting” it. In so doing he also changes many doctrines, introducing his own in their place. – Both Muhammad and Joseph Smith saw themselves as prophesied in scripture, and both saw themselves as a continuation of a long line of Biblical prophets. Muhammad saw himself as a continuation of the ministry of Moses and Jesus. 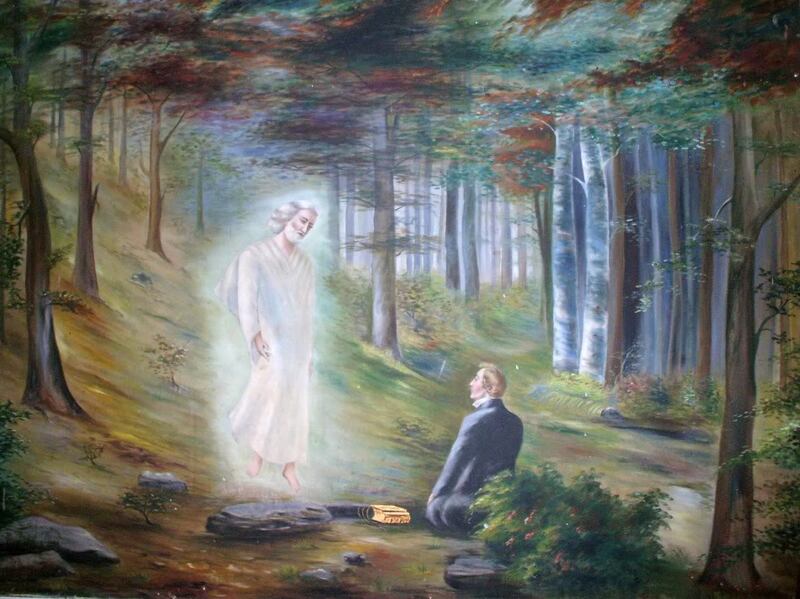 Joseph Smith saw himself as a successor to Enoch, Melchizedek, Joseph and Moses. Joseph Smith actually wrote himself into his own version of the Bible—by name. – Both Muhammad and Joseph Smith held up their own scripture as superior to the Bible. – Both Muhammad and Joseph Smith, despite their claim that the Bible was corrupt, admonished their followers to adhere to its teachings. An obvious contradiction, this led to selective acceptance of some portions and wholesale rejection of others. As a result, the Bible is accepted by both groups of followers only to the extent that it agrees with their prophet’s own superior revelation. – Both Muhammad and Joseph Smith claimed superiority over Jesus Christ. Muhammad taught that Jesus was just another of a long line of human prophets, of which he was the last. He taught that he was superior to Christ and superseded Him. – Both Muhammad and Joseph Smith were polygamists who had many wives. Muhammad had thirteen (13) wives including his first wife, Khadija bint Khuwaylid. Joseph Smith had at least thirty four (34) wives including his only legal wife, Emma Smith. – Belief that good deeds are required for salvation just as much as faith. – Belief that the text of the Bible, as presently constituted, has been adulterated from its original form. – Belief that their faith represents the genuine, original religion of Adam, and of all true prophets thereafter. – Belief that one’s marriage can potentially continue into the next life, if one is faithful to the religion. – Belief that there are multiple degrees or spiritual levels in heaven. – Both engage in institutionalized testimony bearing. The Shahada in the case of Islam and the formulaic 5-point Mormon Testimony in Mormonism. – Lying to outsiders in order to protect the religion is considered acceptable – even virtuous: The Taqiyya in the case of Islam and “Lying for the Lord” in the case of Mormonism. – Belief that a believer’s family, if appropriately faithful to the religion, can join them in the next world, only if they are equally faithful. – Assertions that modern Christianity does not conform to the original religion taught by Jesus Christ. – Rejection of the Christian doctrines of Original Sin and the Trinity. – Absolute prohibition of alcoholic beverages,and gambling. – Incorporation of a sacred ritual of ablution, though each religion’s rite differs in form, frequency and purpose. – A “top down” clerical hierarchy that is drawn from the laity and placed into leadership roles, without any requirements for completing collegiate or theological training first. – Special reverence for, though not worship of, their founding prophet. When politically weak in Mecca: Let’s be friends, Christians and Jews! When politically strong in Medina: Die, Christians and Jews, die! Before wanting statehood for Utah: God says we must practice polygamy! After wanting statehood for Utah: God says we can’t practice polygamy! It’s been said that Satan isn’t very original or creative and his best ideas are stolen. And based on the stunning parallels between Islam and Mormonism alone there seems to be some truth to it. In the late 19th and early 20th Centuries Mormonism was often referred to as “The Islam of America” and now you know why. John Ankerberg & John Weldon, “The Facts on Islam”; Eugene, OR: Harvest House Publishers, 1998; pp.8–9. Also see Eric Johnson, “Joseph Smith & Muhammad”; El Cajon, CA: Mormonism Research Ministry, 1998; pp.6–7. See “Muhammad’s wives” and “Remembering The Wives of Joseph Smith”. Also note that Joseph Smith, Jr’s FamilySearch.org record contains the names of his polygamous wives. This is particularly interesting since as of the date of writing FamilySearch.org is owned and managed by the LdS Church. The text that follows was derived from Pastor Fiene, “A Latter Day Re-Gift Quotes” with some additions to the Mormon sources by this author. A few days ago, one Roger Olson, writing for Patheos, wrote a rather lengthy and largely ignorant post titled: Is Mormonism Christian? (Long But Everyone Interested in Mormonism Should Read This). Patheos often is a breeding ground for aberrant teaching, although some of it is decent. This is not one of the decent ones. Now at the outset let me say that I know of Olson mostly for his Quixotic tilting at the Calvinist windmill. He is a fountain of trite and demonstrably false quips about “Calvinism” so I wasn’t expecting much. I try to stay out of the Calvinist/Arminian wars as best I can but I simply cannot stomach those who mischaracterize those they disagree with. Dr. Olson may get a wide audience and publish a lot of books but based on his interaction with me and with others who know a lot more about Mormonism than he does, he comes across as a middle-schooler on the playground rather than a serious academic. Please refer to the below screenshot of my published moderator approved comment, his response and my rejoinder. And please note that my rejoinder never made it through moderation (although he seemed effusive in his praise of Mormon comments). “Duh, I know this”? I didn’t think my comment was “Duh” worthy but there you go. I guess that is what passes for academic discourse these days. Back to the article itself. From the get-go the question in the title itself is ridiculous. No orthodox Christian tradition has ever considered Mormonism to be Christian in any sense of the word. You might as well have a post titled “Are lemons made of uranium?”. Any theologian with even a cursory understanding of Christian teaching and Mormon teaching knows that we are not talking about two different flavors of ice cream, we are talking about the difference between a rock and a tree. Also, again as anyone who pays attention realizes, the Mormon religion has changed tactics over the last decade or so, moving away from the prior position of emphasizing how different Mormonism is from Christianity to trying to soften the public face of Mormonism to emphasize the alleged similarities. I don’t even know if a lot of younger Mormons realize how much the alleged great apostasy and the vitriolic way that Joseph Smith describes “Jesus” speaking about orthodox Christianity is foundational to their religion. It is all P.R., as the response to LDS teachings becomes more widely disseminated thanks to the internet and their aberrant teachings more clear in the public square, Mormons have had to change tactics to keep bringing in the converts. Olson seems to blithely accept that Millet is in the vanguard of the change in Mormonism to become more orthodox. That is a wonderful idea but it is impossible. Every aspect of Mormonism, from the “prophet” who claims direct revelation from Christ to the temples where pagan ceremonies are held to every bit of the Mormon proselytizing machine would have to be torn down. My fervent prayer is that Mormons as a people leave Mormonism and come to saving faith in Christ but I have no hope for orthodox reform of the religion itself. Second, Olson may consider Millet to be his buddy but Millet has no authority to speak for Mormonism. When the current “prophet” declares that Joseph Smith was a liar, as he was, and that the “Book of Mormon” is a fraud, which it is, and that the teachings of all of those who came before Monson and claimed the title of “prophet” were also liars and deceivers, then we can cheer their progress. Until then this is all just a bunch of smoke and mirrors. Third. Here is the thing about false prophets and wolves. They lie. It is kind of what they do. I don’t know Millet but I imagine that someone that deep in the Mormon hierarchy and with the ear of many top Mormons has to know that what they teach is untrue. He has to. 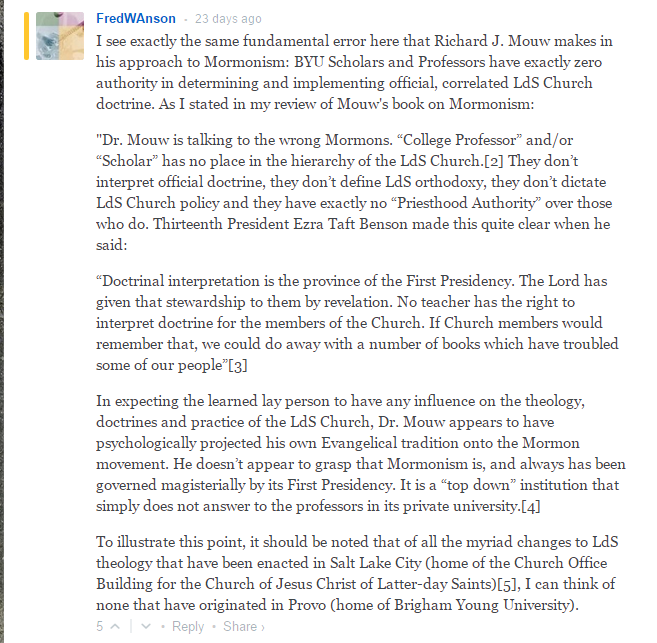 So his continued defense of mormonism, nuanced as it may be, is tantamount to lying and false teaching. He is a wolf, not a slightly confused Christian. This blog is for civil, respectful, constructive dialogue, not preaching, flaming or advocacy. Ah, I see. Maybe where Olson comes from “Duh, I know this” qualifies as “civil, respectful, constructive dialogue” but it doesn’t where I am from. Olson’s final paragraph is his follow-up post, What I Learned from the Responses to My Post about Mormonism tells you everything you need to know. On the other hand I do not consider the LDS Church a cult. I consider it a quasi-Christian denomination and a Christian-based world religion. I still think there is enough Christianity in Mormonism that there is reason to hope that someday the LDS Church will emerge, as the WCG [Worldwide Church of God] did, as a truly Christian denomination. That kind of says it all. In one fell swoop he discounts the cultic behavior that left scars on virtually everyone I know that left Mormonism, myself included. I know of families that are divided and devastated by this cult. I know first hand the cultuc tactics used to scare people into staying in line. On top of this he sees “enough Christianity” in Mormonism and sees it as a “Christian-based world religion”. In what possible way? Taking aside some common terminology with a different meaning, which Roger “Duh, I know this” Olson claims to understand, there is not one shred of Christianity in Mormonism. None. It is a polytheistic, pagan religion more akin to Islam than to Christianity. Trying to find common theological ground with Mormonism is like trying to find common theological ground with ISIS. That is not an exaggeration. Dr. Olson is not doing anyone any favors with his kid gloves approach to Mormonism coupled with his pompous treatment of fellow believers. Hopefully someone with more time on their hands can disassemble his posting for the benefit of the church because Roger Olson has done Christianity and those trapped in Mormonism an enormous disservice. Arthur Sido is a husband of one and the father of eight in Fort Wayne, Indiana. He and his wife are homeschoolers and amateur small scale farmers. A convert in adulthood to Christianity, he has a particular interest in how Christians gather as the church and the ways that our cultural assumptions impact the manner in which we meet. Describing himself as a Particular Anabaptist, his goal is to get Christians to look beyond “church as we know it” so that the church can focus on equipping believers and sending them out to the world. Mr. Sido is also a former member of the Church of Jesus Christ of Latter-day Saints. …we have no desire to become a part of mainstream Christianity. We do want to be better understood and appreciated for what and who we are, but we are not traditional Christians and have never claimed to be. We do in fact see ourselves as Christians with a difference. Mormonism professes to be restored Christianity, and its adherents believe that God has chosen to restore the fullness of the gospel of Jesus Christ through a modern prophet, Joseph Smith, and that the divine priesthood authority he received—the power and authority to act in the name of God, apostolic authority—has continued in rightful succession to modern apostles and prophets within The Church of Jesus Christ of Latter-day Saints today. … you seem to have gotten a false impression of my view of the Lorenzo Snow couplet, the notion that “As man is, God once was; as God is, man may become.” I do accept fully as doctrinal the latter part of the couplet, since deification is definitely a part of LDS theology. I do not know very much at all about the first part, and it is not in fact something the Church or its leaders speak of very often. “There is no doubt in my mind but that something is going on in the LDS Church and Mormonism in general that constitutes a gradual but discernable [sic] shift away from those doctrines most anti-Mormon Christian critics like to highlight toward a somewhat more biblical and even evangelical account of Christ and salvation,” he said. Please note that I closed the discussion of Mormonism yesterday. The response to my and Robert Millett’s essays were so voluminous and lengthy that I simply do not have time to moderate that discussion anymore. I think virtually everything that can be said was said by someone. If you are interested in the subject, read the books I recommended in my initial post about Mormonism and Christianity. If you attempt to comment here about Mormonism you will be wasting your time. I will not approve such comments. I have approved many of all kinds already. The subject is closed (here) for now. Thank you. And that was the last that the world has heard from Dr. Roger E. Olson on the subject of Mormonism – hopefully, it will stay that way for a good, long time. Frankly, forever would be nice in this author’s opinion. But this story isn’t quite done yet, there’s still the fallout to deal with. 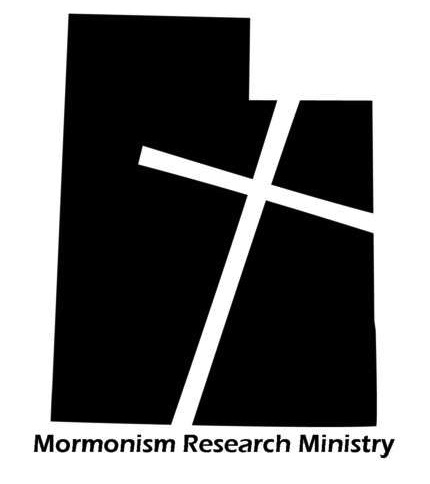 Starting on June 29th and running until July 10th, 2015, Mormon Researchers Bill McKeever and Eric Johnson devoted an audio series to deconstructing and analyzing Dr. Olson’s article on their “Viewpoint on Mormonism” podcast/radio program. This series represents the most thorough, and evidence driven analysis of the flaws and problems with Dr. Olson’s article done to date. Here are the direct links to the shows: Part One; Part Two; Part Three; Part Four; Part Five, Part Six, Part Seven, Part Eight, Part Nine, Part Ten. I was particularly encouraged by the fact that Bill McKeever – who is one of the most objective, even keeled, dispassionate, and even toned Christian scholars in Mormon Studies that I know of – confessed throughout the series that he was having a great deal of trouble governing, his passion and frustration in regard to the arrogant tone and rookie mistakes in Dr. Olson’s Mormon Studies work. “So why all the animus toward Dr. Olson?” one might ask – and it’s a valid question. As stated in the introduction and Mr. Sido’s piece, Dr. Olson’s article and the discussion board behavior that followed was extraordinary in the level of pomposity, condescension, and rudeness that he displayed toward those of us who were already embedded and engaged in Mormon Studies before he arrived on the scene. Many of us have years, even decades, of study and first hand experience with Mormon culture, history, and religion. Some (including many who were in the Mormon Church at the time) have even lived through events in Mormon history that Dr. Olson can only read about now. And while the other Evangelical scholars (like Richard J. Mouw, Gregory C. V. Johnson, Gerald R. McDermott, Craig L. Blomberg and others) who have participated in Robert Millet’s past joint Mormon/Evangelical academic sessions at BYU have occasionally criticized other Christians in Mormon Studies, they have never shown the level of hamfisted ineptitude coupled with over the top contemptuous disrespect of fellow Evangelicals that Roger E. Olson did. Stated plainly, Dr. Olson seems to have a real knack for alienating friend and foe alike! For example, I would ask the reader to scroll through the comments underneath Dr. Olson’s article and ask yourself this question: “Why are there so many rebuttals to Dr. Olson’s comments but very few rejoinders?” The answer is simple: When it comes to public discourse Dr. Olson doesn’t play fair. It didn’t take long for those of us who responded to the article to figure out that Dr. Olson had a preferred narrative that he was looking to push. As a result, countering evidence and arguments which didn’t support his agenda were simply deleted. It didn’t matter how cogent, empirically valid, or within board guidelines they were, they just got “nuked”. And, you will notice, that in just about every discussion thread Roger E. Olson gets the last word – that, dear reader, is no coincidence. This is no secret, it’s well known in Mormon Studies circles that several years ago Dr. Millett was missioned by Mormon leaders with acting as an Ambassador to mainstream Christian churches and other outside organizations to convince them that the Mormon Church is Christian. His involvement with Greg Johnson’s “Standing Together” as well as his other private efforts with Evangelical Scholars has been the net result. So, yes, he certainly has the full support and backing of the Brethren, up to and including the First Presidency to engage with outsider scholars. However, this is a non-sequitur since, as previously stated, he and his BYU colleagues, “don’t interpret official doctrine, they don’t define LdS orthodoxy, they don’t dictate LdS Church policy and they have exactly no “Priesthood Authority” over those who do.” They could articulate a systematic theology that’s fully orthodox with historic Christianity and it would still mean nothing. In fact, don’t be surprised if Dr. Millett arranges private meeting with high ranking Mormon leaders (typically Jeffrey R. Holland, sometimes Dieter F. Uchtdorf, sometimes others) for you where they will reiterate their support for his efforts to your face while behind your back and after you leave absolutely nothing changes. As the saying goes, “the proof of the pudding is in the tasting” and while Evangelical Scholars may be enamored with the flurry of activity with BYU Scholars in Provo the fact remains that NOTHING has changed, or is changing in Salt Lake City in terms of official, correlated Mormon doctrine. Even the two case studies that typically get cited here – Dieter Uchtdorf’s, “The Gift of Grace” Spring 2015 General Conference address, and BYU Professor Brad Wilcox’s, “His Grace Is Sufficient”, Ensign, Sept. 2013) when carefully considered are nothing more than the same old, same old conditional grace and works intermingled with Evangelical sounding language to make them appear more mainstream Christian. So Robert Millet can hold a million interfaith meetings and seminars at BYU but ultimately until we see change in the official, correlated doctrine coming out of the Church Office Building in Salt Lake City it means nothing. I find it interesting that I’m being accused of being cynical by the man who won’t post rejoinders that present an opposing view – even if they’re within board guidelines. I would say that any cynicism regarding Robert Millet and these interfaith discussions was validated by your behavior yesterday Mr. Olson.Clearly there’s something wrong here. So I’ll just leave you to the manipulative and deceptive agenda driven public monolog and private censorship that appears to be your standard Modus Operandi. In short, I expect to see this post and any others that don’t fit your agenda, or that can’t be used to make the commenter look foolish, deleted. The last tactic that Dr. Olson engages in has already been hinted at: He selectively deletes comments – even his own comments – after they’ve publicly posted if they no longer suit his purpose. Thus, there is no guarantee that a comment that was approved in the morning, will still be there the same hour, afternoon, evening, day, week, or month. Nothing is certain and everything is subject to change at any time. 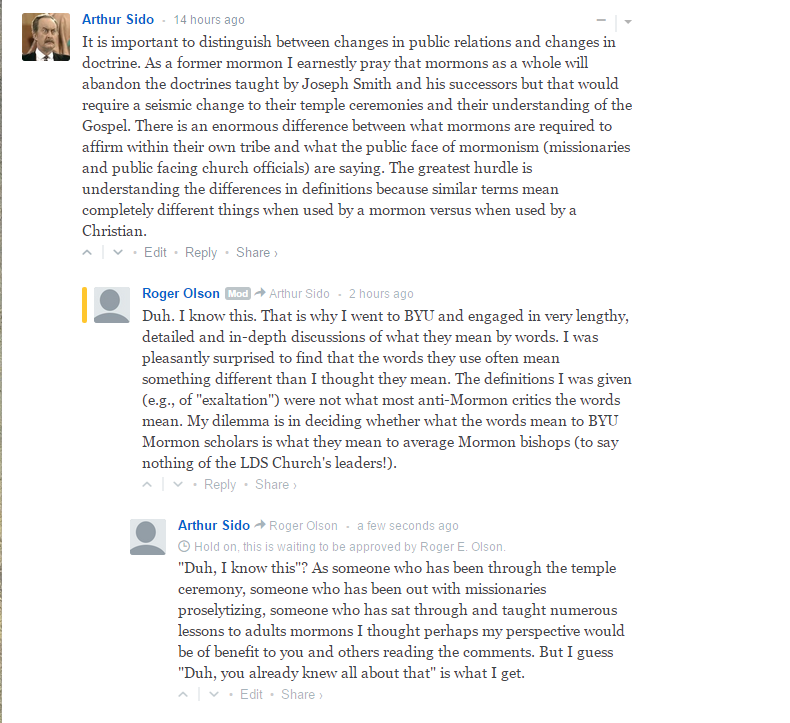 Apparently, in Dr. Olson’s mind the comments section of his blogsite isn’t really a public forum, or open exchange of ideas – rather it seems to be his sandbox for building, modifying, and promoting his preferred stance and/or narrative regarding the subject. For example, to the right you will see a screenshot of my aforementioned “only comment that I had approved by him”. Originally, this comment had several responses underneath it – including at least one by Dr. Olson himself. These posts had been moderator approved and could be seen and read by the viewing public. If you click on this live link you will notice that conspicuous in their absence are all those comments. Yes, they’re gone, Roger E. Olson deleted them all after the fact for reasons known only to himself. In true Orwellian fashion they have gone down the “memory hole” forever. Of course no casual reader would see any of this as the overriding public agenda for this particular blog article seemed to be to make Dr. Olson look like the adult voice of reason in the midst of unruly and less enlightened children. The private agenda, like that of most bullies, seemed to be another matter entirely. In a nutshell and in conclusion: Scheming, deceiving, manipulative, censoring, spin doctoring, Christian slandering, Mormon pandering, white washing, propagandizing, verbally abusing, condescending, arrogant, myopic, agenda pursuing, pompous, overbearing, and bullying. These are all the descriptors that I and many others have used to describe Dr. Roger E. Olson’s online behavior. Frankly, his absence from Mormon Studies won’t be missed. But should he ever reenter the arena, we will be waiting. And this time, since we know what to expect now, we’ll be ready for him. Craig L. Blomberg may be the exception here. While I am personally unacquainted with the incidents, in the July 9, 2015 Viewpoint On Mormonism broadcast Bill McKeever references two occasions where Dr. Blomberg has made disparaging remarks similar to those of Dr. Olson’s. As Mr. McKeever notes in the broadcast, the lowest common denominators in both of these cases is that they are Christians scholars who rely on Robert L. Millet as their primary source of information regarding both the modern Mormonism being pandered to as well as the Christian Mormon Studies scholars being slandered. Mr. McKeever terms this form of argumentation “Pander/Slander” and references the Institute of Religious Research’s Ronald V. Huggins‘ well known article, “An Appeal for Authentic Evangelical-Mormon Dialogue” which documents it. In light of the events documented in this article, Dr. Huggin’s article is highly recommended reading. Perhaps it goes without saying that these videos are both very enlightening and highly recommended. While the subject wasn’t Mormonism it still explained a lot about Dr. Olson’s methods and means in general.